Happy New Year! Although I guess it feels a little strange saying that since we are already half way through January! Usually at the beginning of a new year, I take stock and see how well I did with my goals. However I feel a little let down last year, which is totally silly. I only managed to complete a handful of things I had planned, but I loved the process and the results of every single piece. Isn’t that what really counts? Which brings me to planning for 2016. On instagram, I’ve been following everyone’s #2016makenine with much interest and longing. Longing to build my own list of nine lovely projects to fill the next 12 months. I started sifting through Ravelry and Pinterest to put together a list of knitting and sewing project, but I realized that’s just not how I roll. When it comes to plans, mine are always best broken. To me, there is nothing worse than following a plan through just for the sake of it. If I’m not into a project, it’s just going to stop me in my tracks. Nothing else will get done. Right now, I’m feverishly working on Michele Wang’s Exeter cardigan while silently planning the next thing to go on my needles. I’ve realized it’s time to take a step back, focus on the present, and enjoy the journey one piece at a time. I only finished one sweater for me last year (I knit three), so my only plan is to finish at least two. How do you plan for your creative year ahead? Are you a meticulous planner? Or more of a “let the creative spirit guide you” type? Once again, Alexis’ command of graphic pattern and color shines bright in this collection of 5 pieces: 3 garments and 2 accessories. One of my favorite things about Alexis’ patterns is her interesting construction and knitting techniques used in each design. 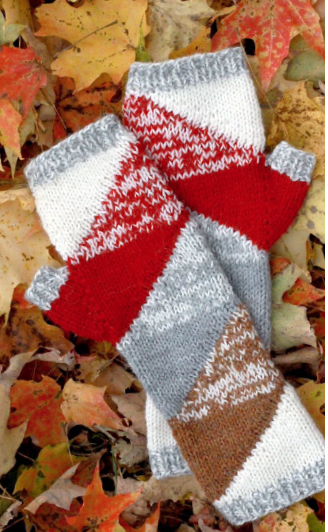 The Dolo Mitts, for example, use short-rows to form triangular motifs throughout the mitts which mimic the look of intarsia. 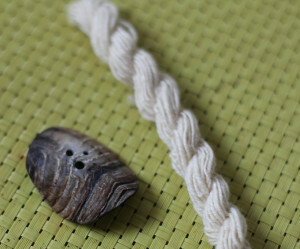 So clever and so much easier to work for most knitters! 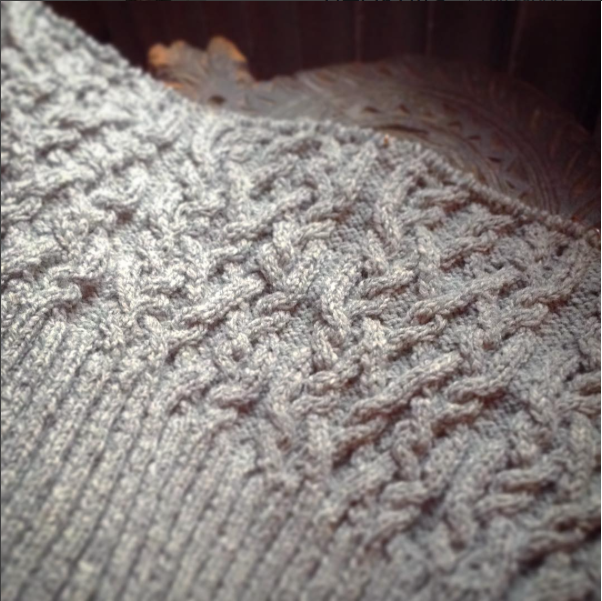 One of my favorite projects in the collection is the Arno Pullover. At first glance, it looks like a fairly simple design, but once again, Alexis’ interesting construction methods shine. The body is knit from the top down, but is started in sections. 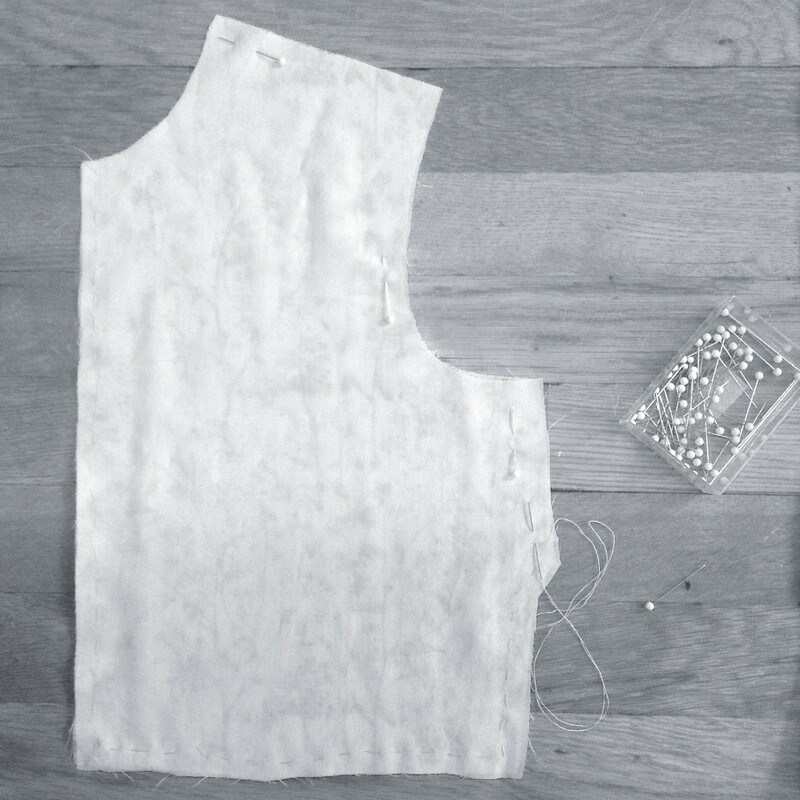 The body is then joined in the round for the body and sleeves just below the contrast yoke. I love a good seamless construction method that allows for a more flattering set-in sleeve. With Arno’s interesting construction and extremely wearable design, this one is definitely going in my queue. I also want to make note of Alexis’ clearly written instructions which include self-produced technique video links embedded into the PDF for the trickier parts. Some technique video highlights include Short-Rows: Incorporating Wraps, How to Knit Stranded Colorwork, and a Steeking Video Tutorial. These well done videos not only give courage to the adventurous beginner, but are also a nice little refresher for the more advanced knitter as well. In addition to the above mentioned patterns, the collection is rounded out with a colorwork hat (designed to use up leftovers! ), a cocoon cardigan (great layering piece! 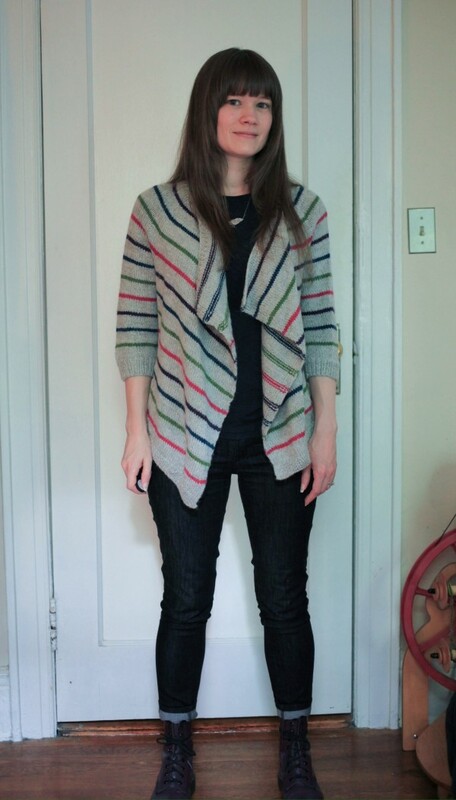 ), and a steeked graphic patterned cardigan (steeks really are the best, trust me!). These five colorful projects will carry you through the chilly months ahead all while teaching you a few new tricks for your knitting toolbox. 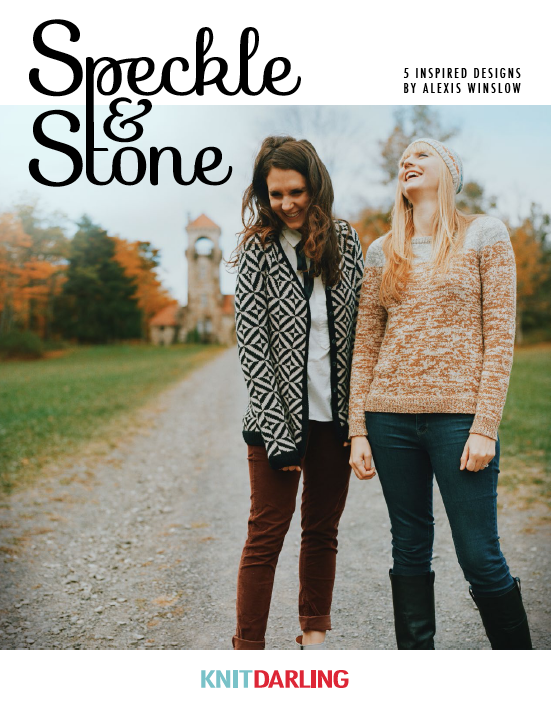 Speckle and Stone is available as both a PDF ebook and a printed softcover book. Patterns can also be purchased individually. The PDF, printed book, and individual patterns may be purchased at Knit Darling or find the PDF book and individual patterns on Ravelry. Enjoy! 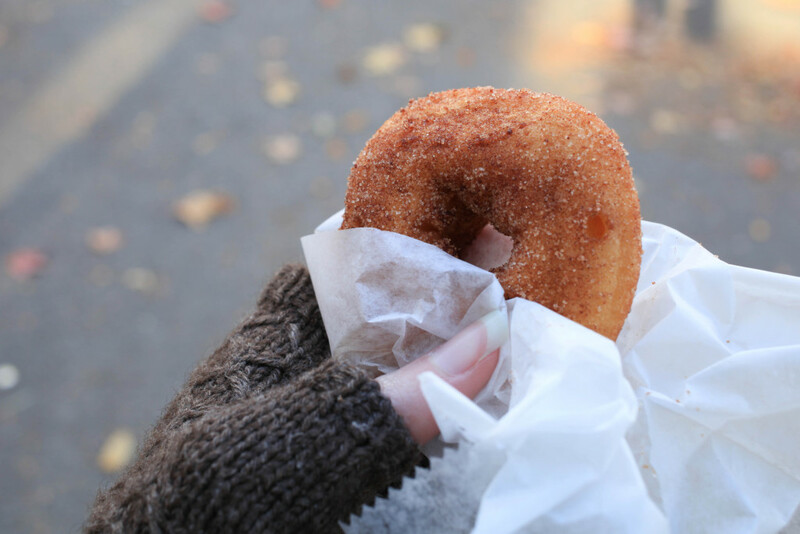 A spinning class, reunited friends, Rhinebeck house cats, knitting by the fire, lamb sandwiches, apple cider donuts, fleece, pretty trees, yarn, sheep, and snow! This pretty much sums up Rhinebeck 2015. My friend and I kicked off the weekend by taking a full day class from Amy King called “The Yarn That You Want.” I was attempting to spin something similar to BT Shelter and a sock yarn. My sock yarn came out pretty well and so did the Shelter attempt – even though it looked nothing like it! It’s been really fun learning about spinning and appreciating all the hard work that goes into learning something new. It’s so easy to take that for granted sometimes. I feel like the need for instant gratification can sometimes derail the learning process before you even get started. Saturday was the day of standing in line. A line to get in, a line for Jennie the Potter, the line to pay for my fleece, and the line for lunch. Too many lines! The festival was extremely crowded and we hardly ran into anyone we knew. Perhaps we were more focused on trying to get through the crowd with out stepping on others or being stepped on. I did however end up with some nice loot. 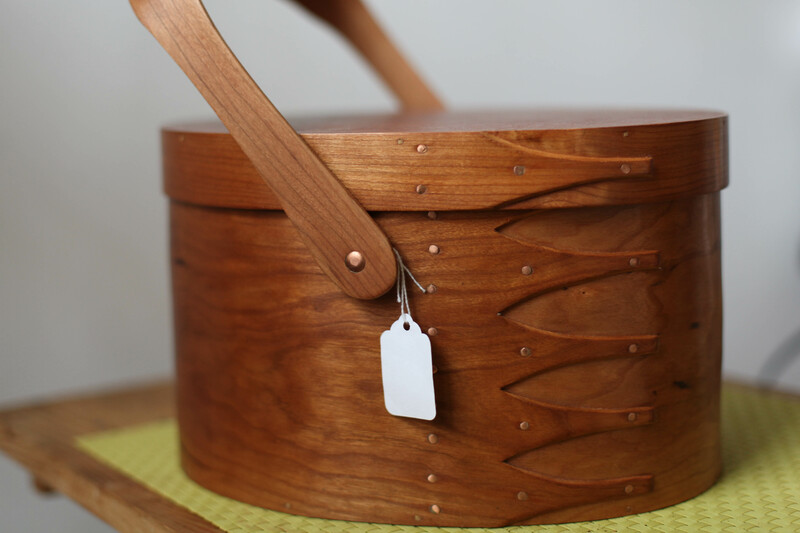 Highlights included a 7 pound Tunis fleece and a beautiful handmade Cherry/Sapele wood Shaker sewing box. Sunday is always the more relaxed and less crowed day, but I think the cold weather kept a few more people away this year than usual. While getting ready on Sunday morning, we joked about it snowing on Rhinebeck weekend. Then at about 11am, flurries started falling from the sky. Thank goodness for Icelandic sweaters, lamb and barley soup and hot apple cider! Sunday gave us some time to check out the cute animals, watch the llama/alpaca obstacle course, and catch up with friends. 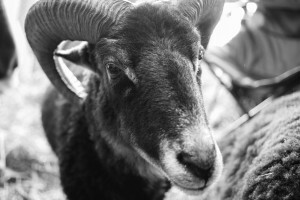 An extremely friendly Cormo sheep! I even spotted a copy of my book in the Briar Rose booth. I’ve been a fan of Briar Rose yarns for years and I finally got to meet the owner Chris. Their booth is always a must see at the festival. 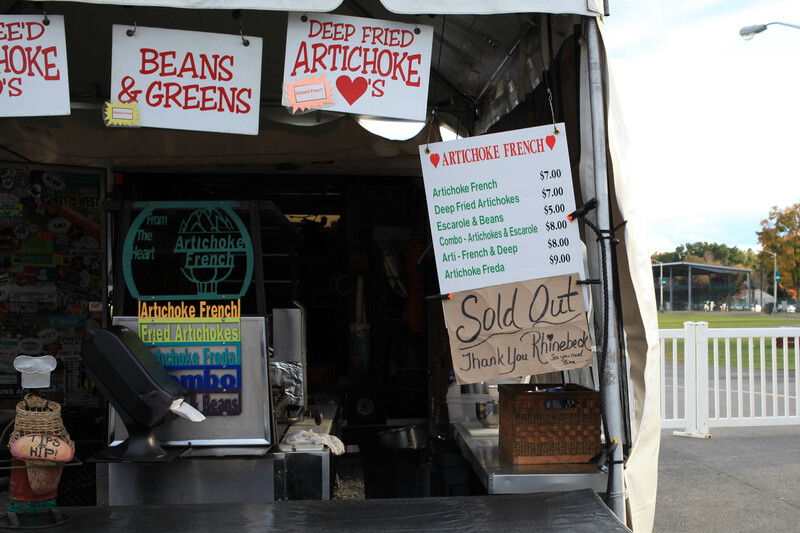 Thank you Rhinebeck, see you next year! Honestly, I’ve never been much of a clothes horse. Spending lots of money on clothes (cheap, well made, or expensive) wasn’t something that I ever did. When I took my no buying new clothes challenge in 2014, I would be lying if I said I wasn’t a little panicked. When you take something away, no matter how little you have paid attention to it in the past, it can be a little anxiety producing. Plus, I work in fashion and people tend to notice if you’re wearing the same ratty thing over and over again. But something unexpected happened. I always had enough. I took a long, hard look at my wardrobe and donated the things that just didn’t work anymore. It forced me to make due with what I had and come up with interesting combinations to make the most of my wardrobe. Then when I started reading Marie Kondo’s book, I scaled back even more. In total, I probably donated over 15 large boxes of clothing to very eager teens at church. When my experiment was over at the end of the year, I had learned so much and had no interest in going back. My makes were more focused than ever, I wasn’t waisting time or materials, and I felt like I was finally finding my style. Let’s be honest here, spending a lot of money, buying secondhand, or making all of your own clothes is not necessarily going to save the world. There are too many factors and questions to consider. However, carefully considering your choices as an individual is still important! A well chosen piece of clothing that fits like it was made for you can be a real mood booster. 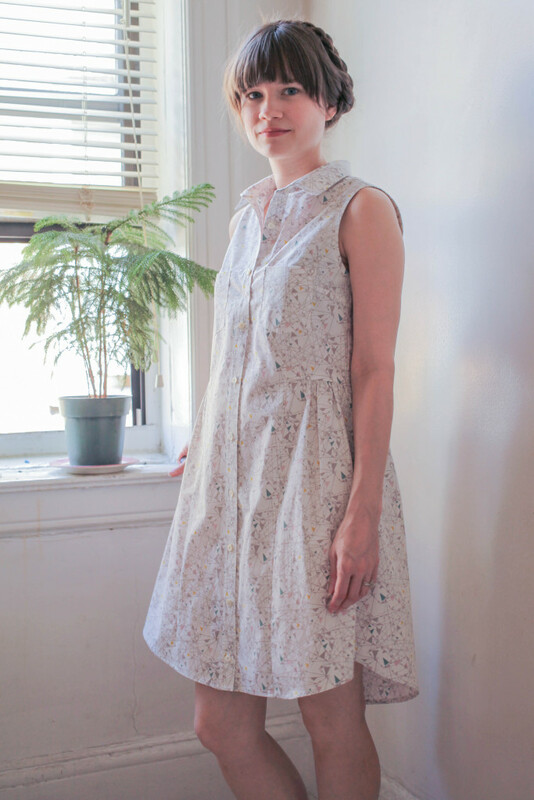 A cute dress you’ve made with your own two hands not only satisfies a creative itch, but shows you are taking a stand against trends being dictated to you. The fashion world wants you to think you need a new wardrobe every season. That just isn’t so! Into Mind: a blog dedicated to helping you create a capsule wardrobe. I used this as a jumping off point since a capsule wardrobe felt a little limiting to me. Wardrobe Architect: Colette Patterns did a general series in 2014 to help define your style, favorite silhouette’s, colors, and more. 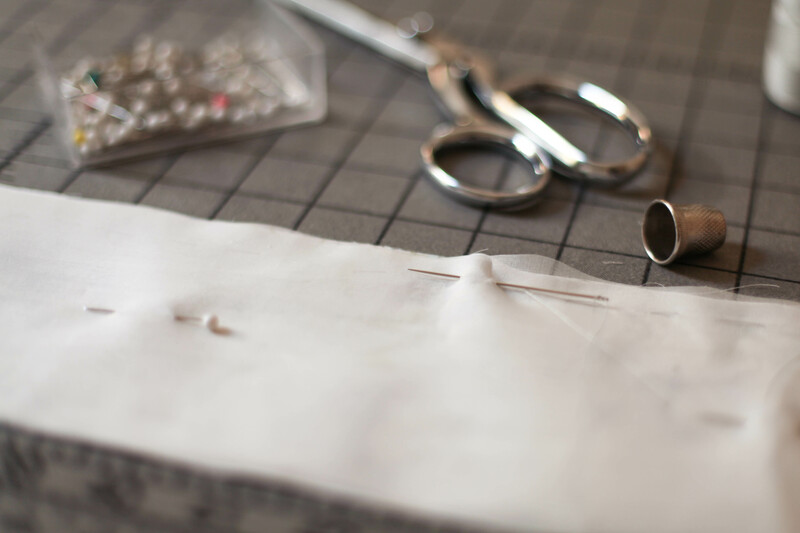 In 2015, they are focusing more on meeting your sewing goals. The Life-Changing Magic of Tidying Up: this book made its rounds in the social media world a few months ago and I highly recommend this book. Honestly, I didn’t think it could help me keep things tidy, but it’s been about 8 months and everything (that I’ve worked on so far) is still in it’s place. Magic indeed! A little late with this post (how is October already half way over?) and I was almost about to skip it all together. After all, Slow Fashion October is all in what you want to make of it. No pressure! No daily wardrobe selfies if that isn’t you thing. There isn’t even a pledge to wear all or part handmade for the month. It all depends what you want to make of it. For the first partial week of Slow Fashion October, the prompt is to talk a little about yourself, how you came to it, and to set any intentions if you have them. So let’s get started, shall we? 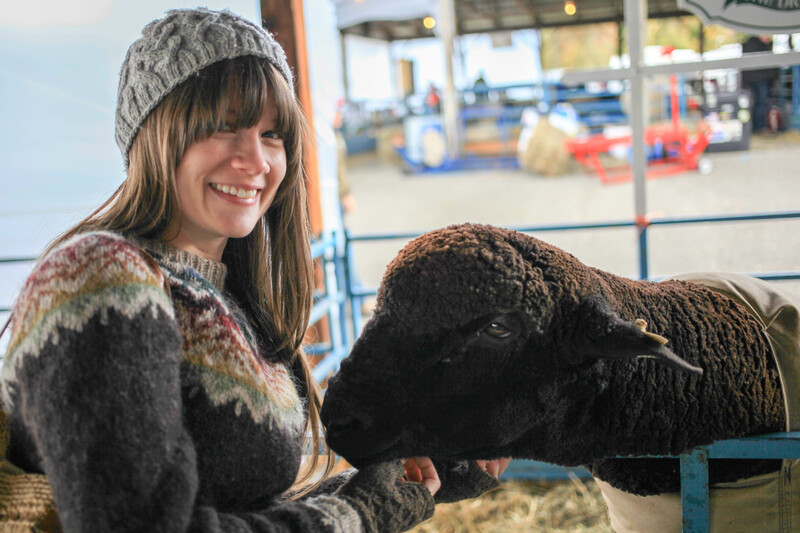 My name is Melissa and I learned how to knit when I was 7 and how to sew when I was 13. While I made the occasional outfit or two in high school, always a rushed wear it the next day kinda deal, making clothing for myself wasn’t something I gravitated towards. I was always making something, but my interests were mostly jewelry or art related. I studied fashion at the Fashion Institute of Technology and while you would think this would jump start anyone’s interest in making clothing for oneself, that wasn’t quite the case. The last thing I wanted to do after a week of intense classes was sew for myself! 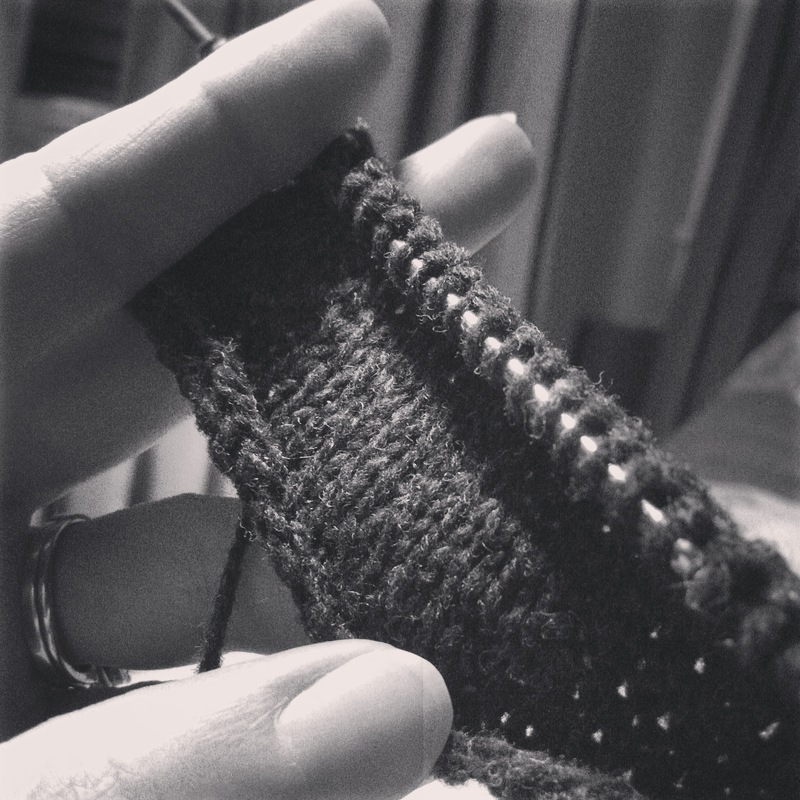 However, once I moved into knitwear specialization, it did renew my interest in knitting. I didn’t knit a whole lot, but it set the stage for things to come. After two years in the industry, I started to design handknit patterns. In the fast paced Junior fashion world, I needed a creative outlet all my own where I could slow down a bit. It was an amazing time for knitters. 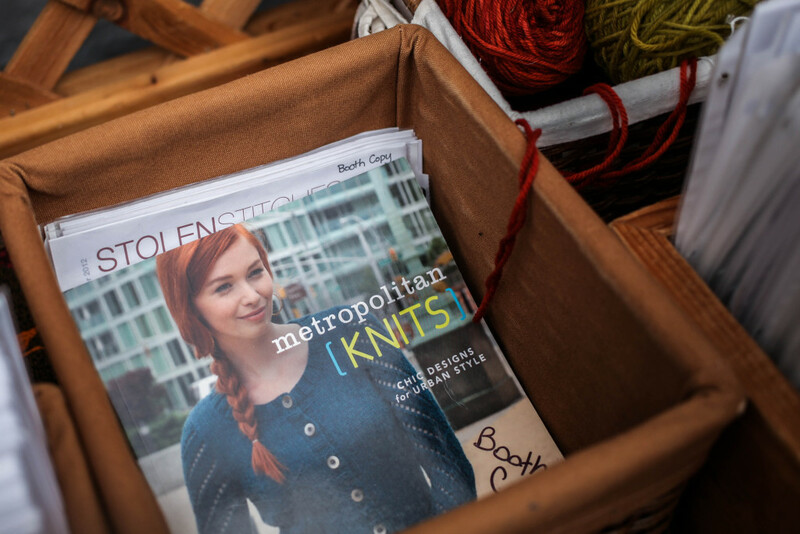 Debbie Stoller’s book brought a new generation of knitters into the fold, yarn shops were popping up everywhere, and knitting was thriving. I looked forward to my weekly knitting group where we could share ideas, help one another, and give encouragement. The love of making was alive and well with this wonderful group of ladies. As my time went by in the industry, I began to feel uneasy about the conditions of overseas workers, particularly in India and Bangladesh. While thankfully my company did not use factories in these regions, I became more vigilant as a consumer in regards to what I was purchasing and where it came from. Then in 2014 I embarked on a year of not buying any new clothing. Whatever I wore was either made by me or purchased secondhand. It’s been almost two years now, and I haven’t purchased anything new. My ban on buying new clothing ended this past January, but I had no interest in going back. I never splurged much on new clothes in the first place, but making my own wardrobe gave me so much control over my style and how everything worked back to each other. For the first time in my life, I never felt like I had nothing to wear. 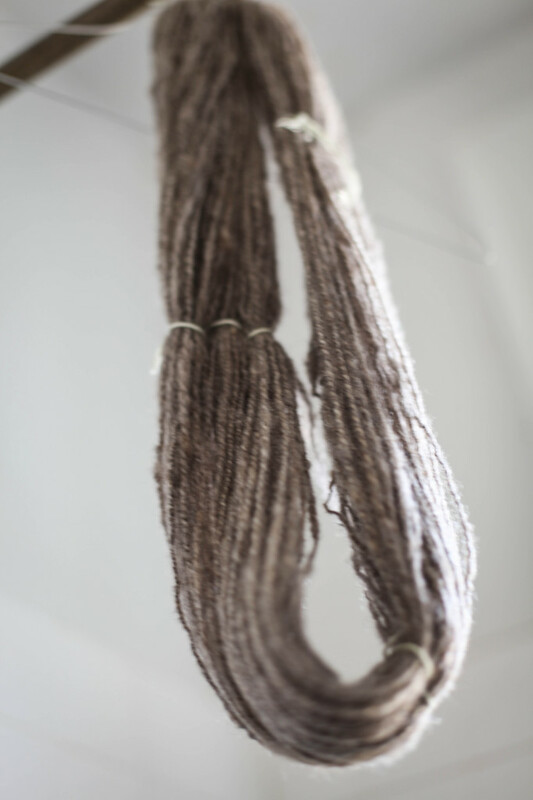 For Slow Fashion October, my goal is to really dig into my spinning. 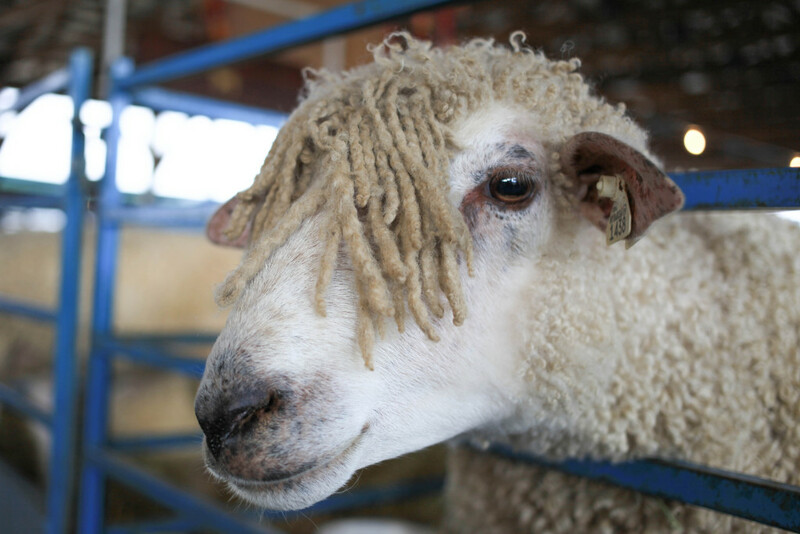 To me, nothing says slow fashion like processing a fleece and spinning your own yarn. I purchased a fleece at Rhinebeck last year and while I’ve processed a bit of the fleece, there is way more to go. I’ve been attempting to wash up a little batch each night and practice at least 2-3 times a week. 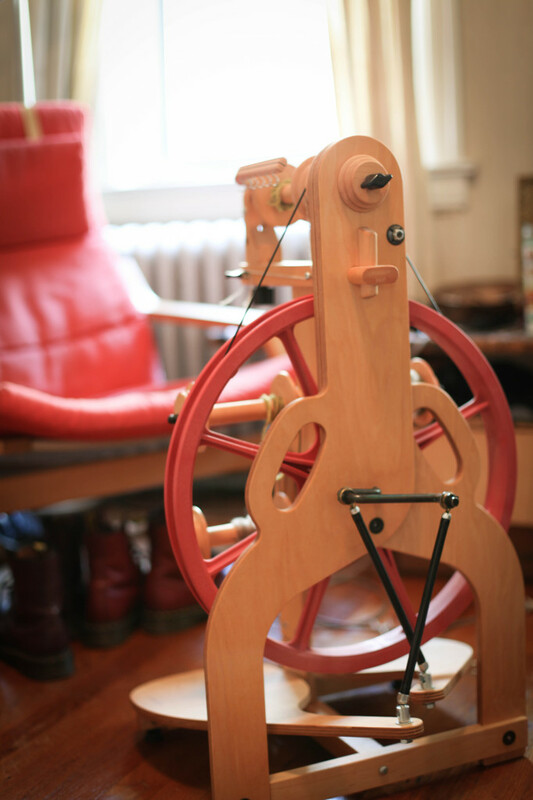 Also, while I am in Rhinebeck at the end of this week, I’ll be taking a spinning class as well. Perfect timing! I hope to see some of you at the festival, and if you see me, come say hi! 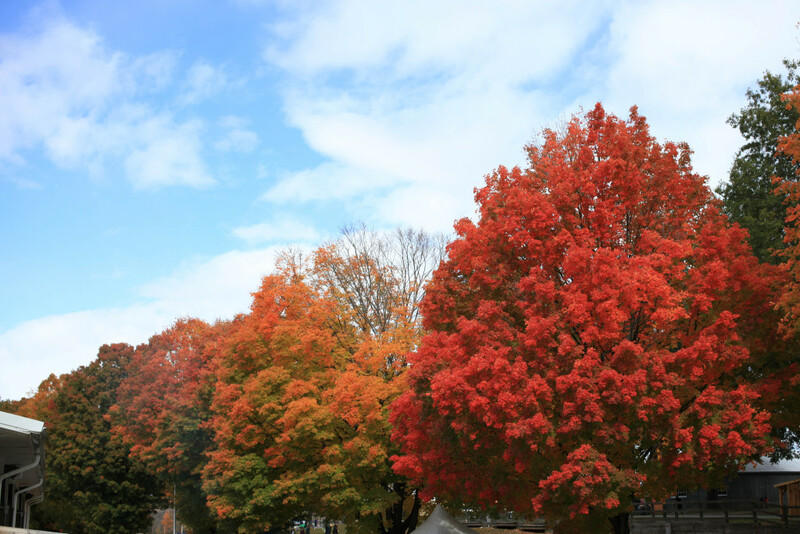 In true last minute fashion, I’ve been on a roll trying to squeeze in some last minute warm weather makes before my thoughts start to turn to sweaters, turning leaves, and Rhinebeck. It seems that I’m not the only one, I’ve seen quite a few Alder dresses popping up in my instagram feed lately! I purchased Alder soon after it had been released, along with two prints, from Grey’s Fabric and Notions last year. 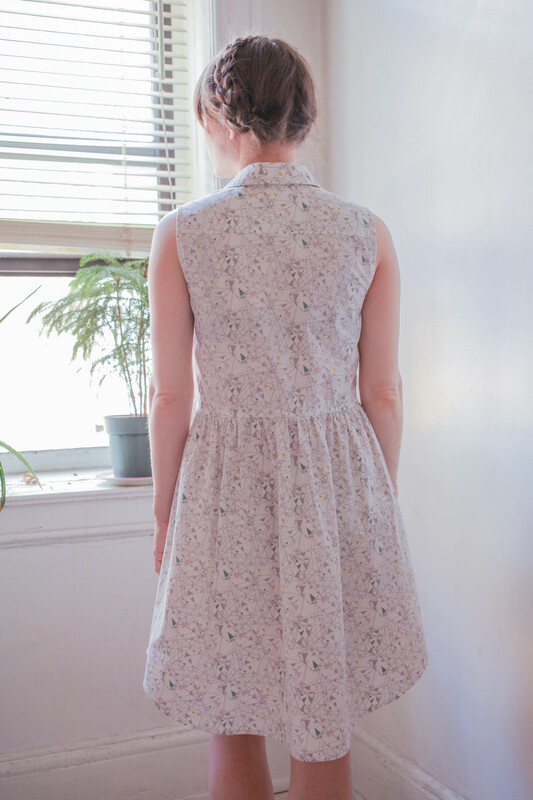 I had intended to make a few new dresses before it got chilly, but here we are, one year later. I was going to kick off the Alder festivities with version A, but after a year of pondering and looking at other sewists projects, I changed my mind. Apparently past me knew I would change my mind because I bought more yardage of the one print that would be perfect for view B. Way to go past self! 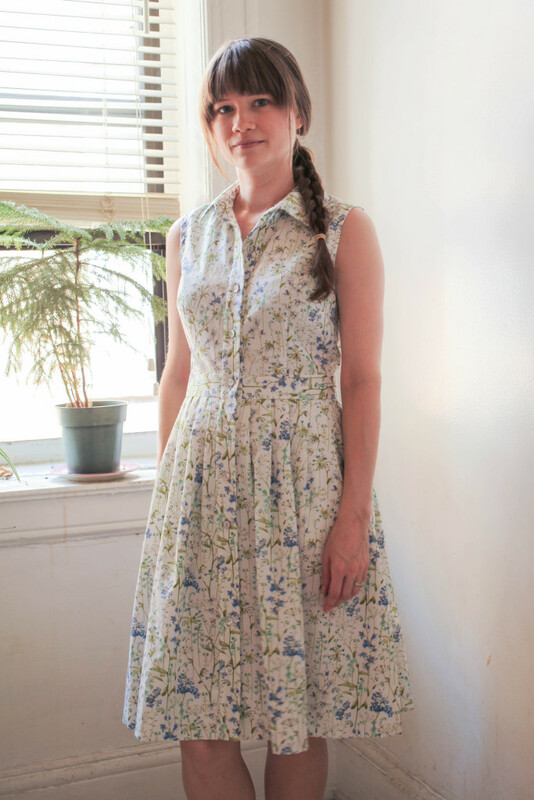 Coming off the major Liberty dress project, this dress is a bit more laid back. The insides are finished nicely, but the only hand stitching here was to close up the inside collar band and to sew on the buttons. I have to say, I’m a little sick of sewing on buttons right now. I think my next project will have a zipper, or better yet, no closure at all! I cut a straight size 4 with only a few modifications to perfect the fit. I raised the bust dart about 1″, removed 1/2″ of length at the cross front and back and added 1/2″ back in around the hip to keep the length. 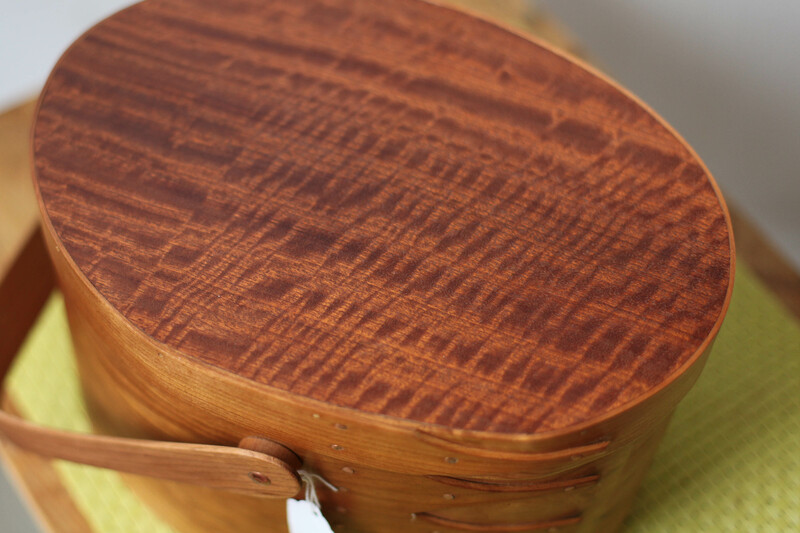 I also moved the forward shoulder seam back 3/8″. For my next version, I might put the shoulder seam back as drafted. That change might have been a bit hasty. I pretty much followed the instructions as written up to the collar. For the collar, I followed the instructions from The Classic Tailored Shirt Craftsy class. I’ve used this class as a reference so much, it has paid for itself many times over. I also added a small piece of silk organza at the pivot point where the skirt connects to the front. I just wanted to stabilize the corner to prevent any disasters from occurring. I even learned something new with this pattern. 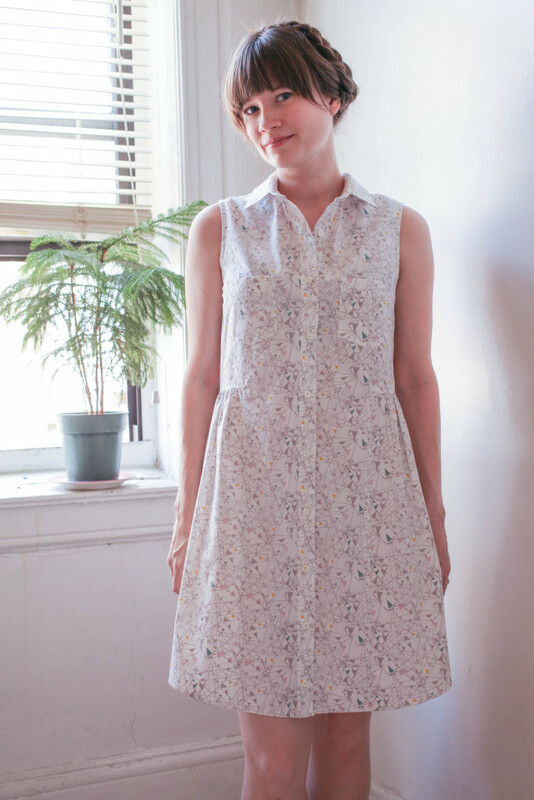 When I made the Liberty dress and the black version before it, I could not for the life of me figure out how to make the bias tape finish at the armhole lay flat. There is just a little bit of wrinkling at the lower armhole that bugged me so much. Well, Grainline to the rescue! 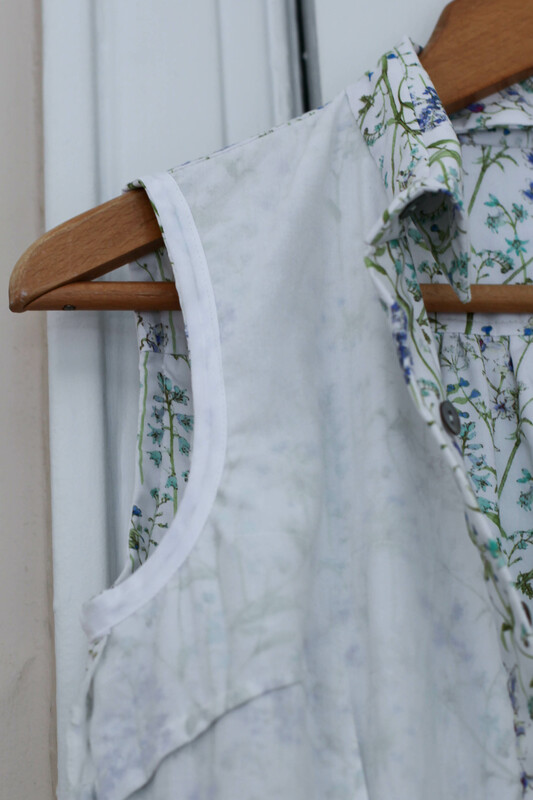 There was a great tutorial on the blog showing how to get a bias tape neckline (or in this case armhole trim) to lay flat. Worked like a charm! If I was a total perfectionist, I would rip apart the bias tape finish on my previous dresses, but let’s just let sleeping dogs lie. Once again (one day I’ll get around to posting about my Archer), Grainline Studio did not disappoint. 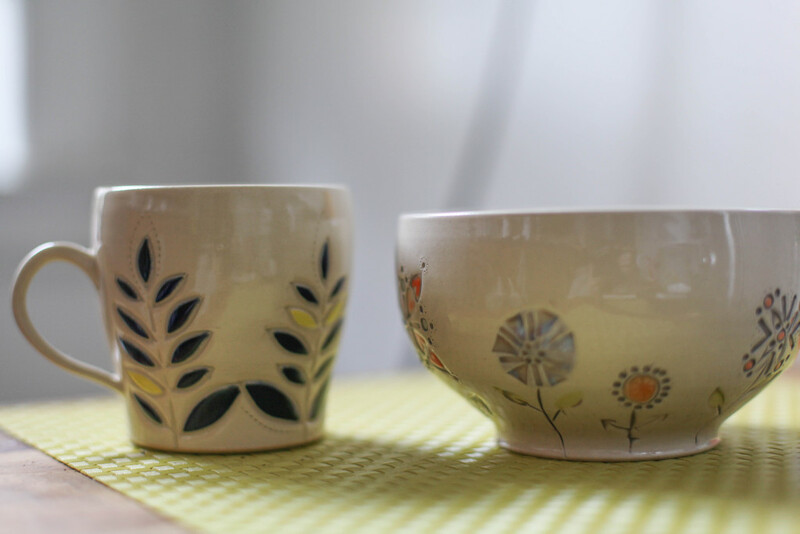 The instructions were clear, the pattern was precisely drafted and the design is really cute. I can’t wait to make up version A with the other print I have stashed away. Well, maybe after the button fatigue has worn off. So what are you guys working on, any last minute cute summer sweaters or dresses? Or have your minds begun to turn to cooler weather outfits and snuggling by the fire? 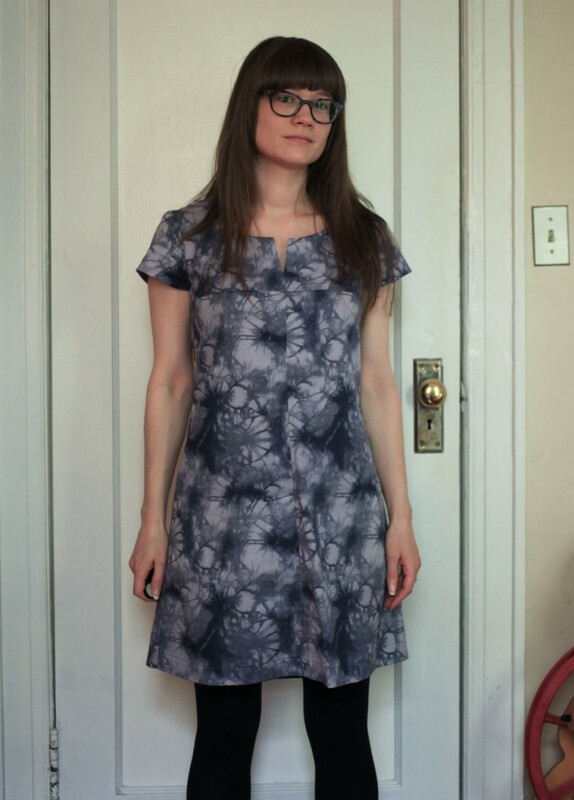 I finished the last stitch on my Liberty print McCalls 6696 on Saturday and I’m in love! I feel so silly for delaying this project for so long, it was a very hassle free project. This is actually the second time I’ve made this dress. I stitched up a wearable muslin version at the end of April, in addition to an actual muslin sans collar. I wasn’t taking any chances with my precious Liberty print! 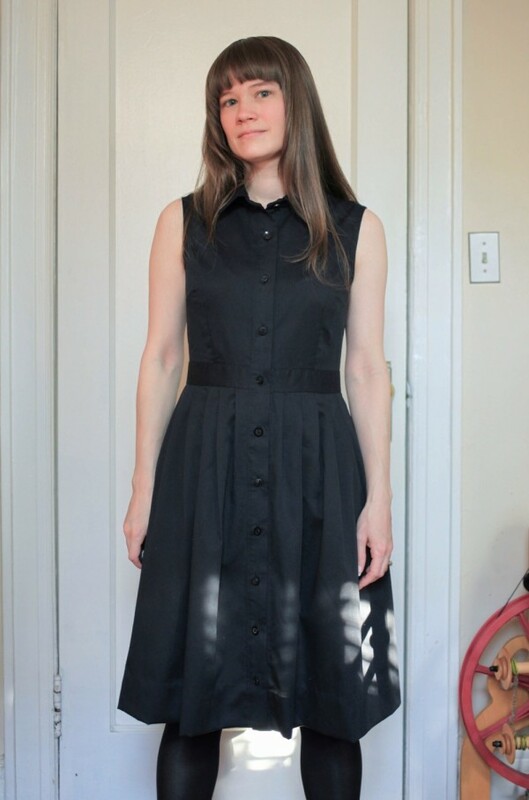 The fit on my solid black version was pretty spot on and the dress was so comfortable to wear. This time around, I reduced the height of the collar band and the collar. Since the top button is supposed to be worn open, the original collar just felt a little too overwhelming in a 70’s way on me. I did notice that once sewn, the shortened collar didn’t want to stay down in the back to cover the band seam, so I just used a catch stitch at the center back to invisibly secure the collar down. 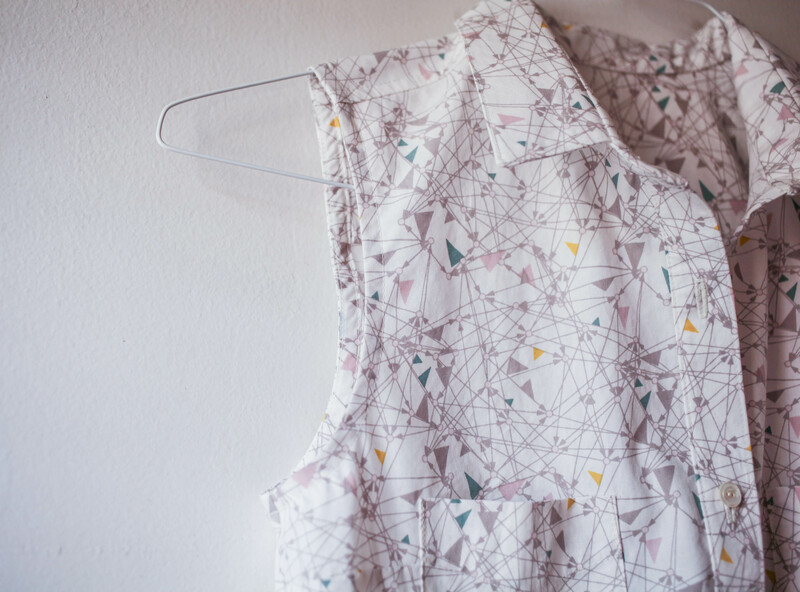 I pulled out all the stops for the construction of this dress. 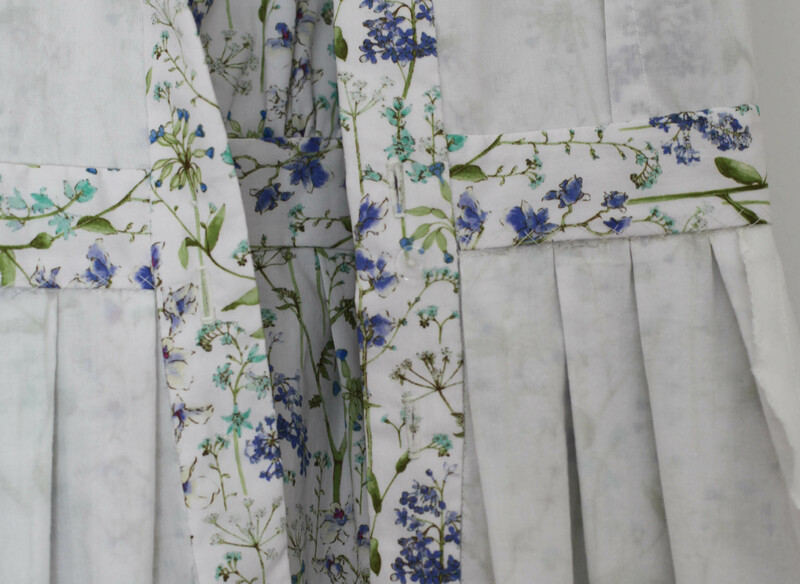 First, since the Liberty Tana Lawn is a bit on the sheer side in white, the dress got a full underlining in cotton voile. 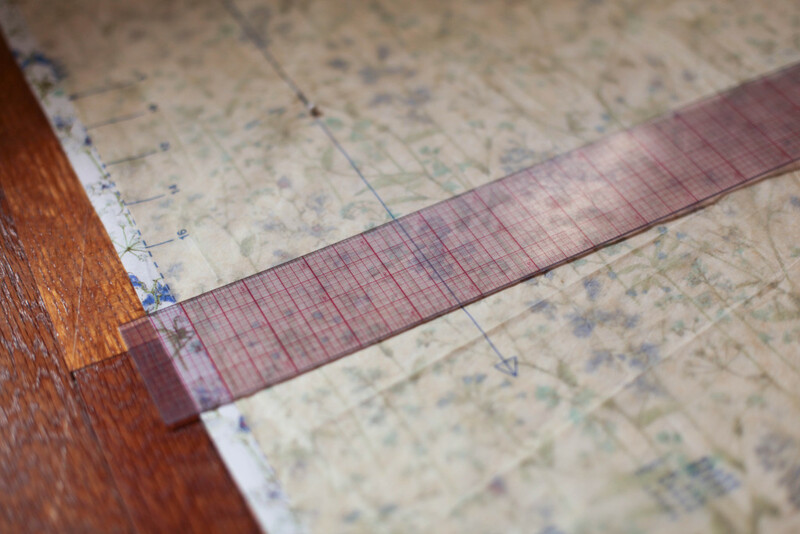 The underlining not only helps with the sheerness, but also helps stabilize the main fabric. The underlining was basted to the main fabric entirely by hand, it was a lot of work but not as bad as it first seemed. The only piece that skipped this treatment was the second yoke piece. Three layers was enough in that area. The collar, waistband and button band were all interfaced with silk organza. Again, all basted in by hand. 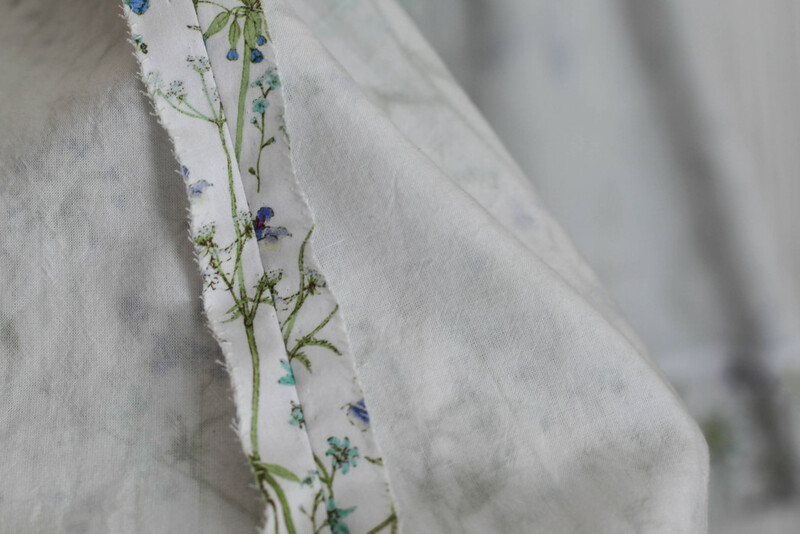 Seams and darts were all properly pressed on a seam roll or tailors ham with all loose ends hand sewn back into the seam by hand. In couture sewing, back stitching is not used since it adds bulk to the seam. The seams were then finished with a hand overcast stitch. I was a bit skeptical at first, but it actually does stop the fabric from fraying. I stitched up all the seam edges while chatting on the phone and it went pretty quickly. 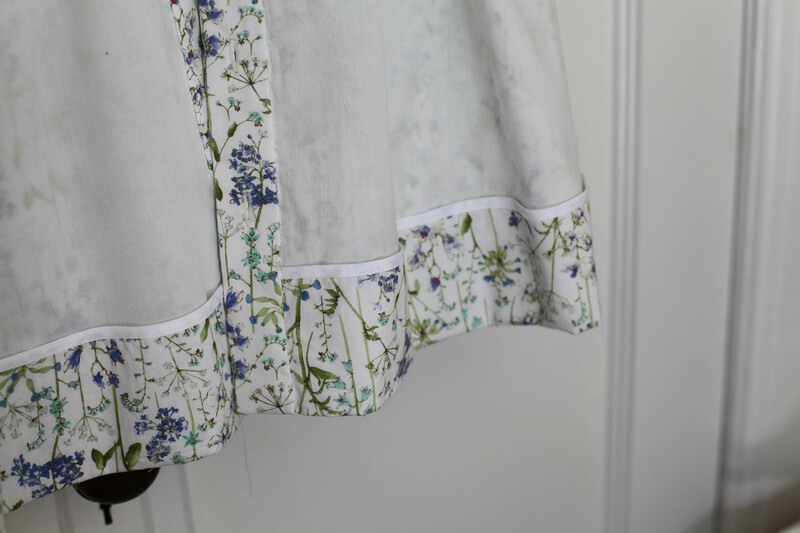 The hem is bound with a 1/4″ double fold purchased bias tape and secured with a blind catch stitch which only catches the underlining. Nothing shows on the outside. Can we just stop a minute and admire this beautiful hem? I’m so in love. The armholes are finished with a purchased 1/2″ single fold bias tape. Daytona didn’t have what I needed, so I just purchased the double fold 1/4″ and ironed out the center fold. Worked perfectly! It’s hard to see because it’s clear, but I also added an extra button on the inside of the button band just below the waist seam. This helps keep the placket from pulling in that area. I had this problem with the first version and I think I’m going to go back and add a clear button to that dress as well. The final verdict? Love, love, love, love, love! This is by far the most work I’ve put into any sewn garment I’ve ever made and the end result really shows. I felt total invested in every part of the process and I learned so much. I’m a total convert to couture techniques and hand sewing. Not all of my makes will get this special treatment, but throwing in a hand stitch or two will certainly never hurt anyone, let alone a one of kind piece made just for me. P.S. This is my 500th post! 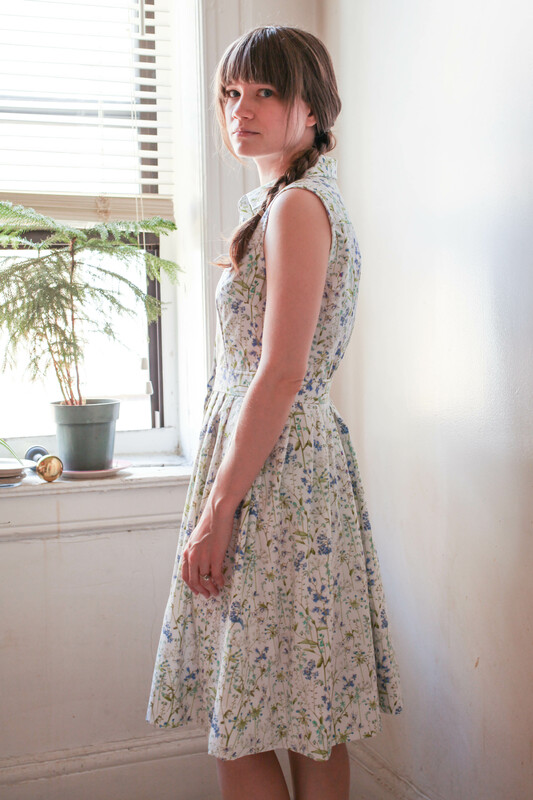 This dress is the perfect way to celebrate. Crafting, whatever your poison, is something that should be fairly carefree (unless we are talking about gauge swatches, they should never be carefree). Creativity and making is what keeps many of us sane. However, I’ve noticed something over the last few months. When I begin planning a new project I experience fear. Maybe fear is too strong of a word, but it’s very much what I feel. 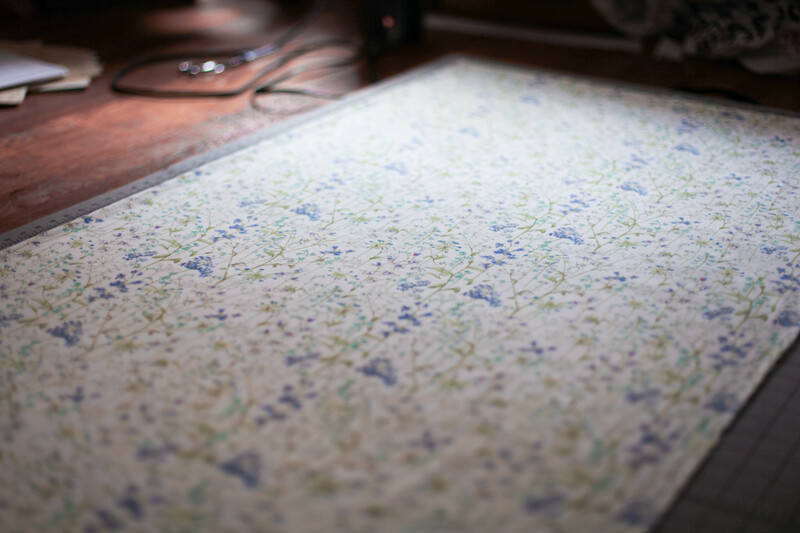 For example, I’ve had this Liberty print fabric for over a year (it might even be two) and the perfect pattern picked out for it. But every time I made plans to tackle the project, I stalled. 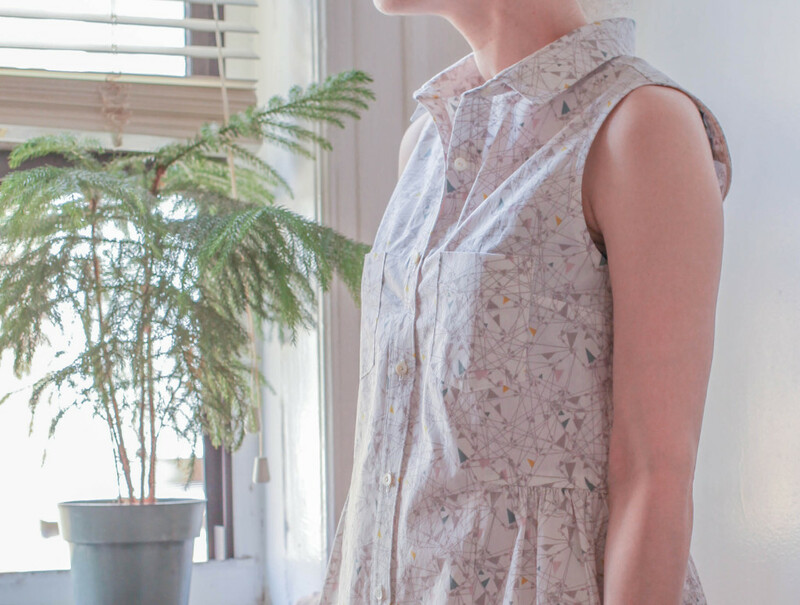 I made a muslin last summer, refit it again last April, made a test garment, wore it a bunch of times and loved it, but I still made excuses when it came to cutting into my pretty Liberty floral. I’ve noticed this when designing knits as well. I’ll start off strong with numerous sketches, but then it comes to the swatching stage? Nada. I used to throw caution to the wind! I was never the kind of crafter that started off with the beginner project. Knitting? Went straight for a sweater. Sewing? Give me a tailored coat any day. And so on. Experimentation was my middle name. It seems silly, but when I get down to the bottom of it, I think the more I learn about any given craft, the more I fear making mistakes. As I learn the “correct” way of doing things I’m paralyzed by the thought I might press a dart wrong or forget to use the perfect left leaning decrease. Meanwhile, making mistakes is how we learn. Circles, circles! The perfectionist, and to a lesser point the time engineer in me, wants everything to be perfect and on schedule. No stopping, no standing. This is not the way the creative process should be! 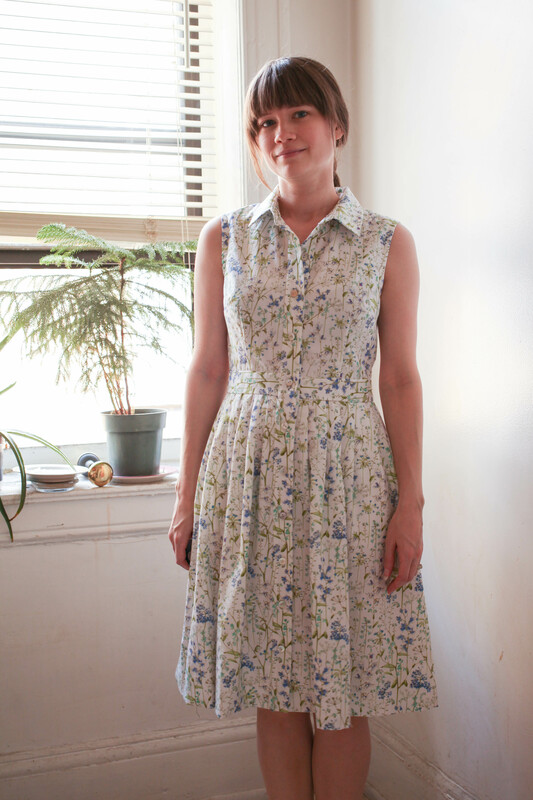 So last weekend, I finally set aside some time for that Liberty dress. As of this moment it’s a collar, placket, and hem away from being wearable. 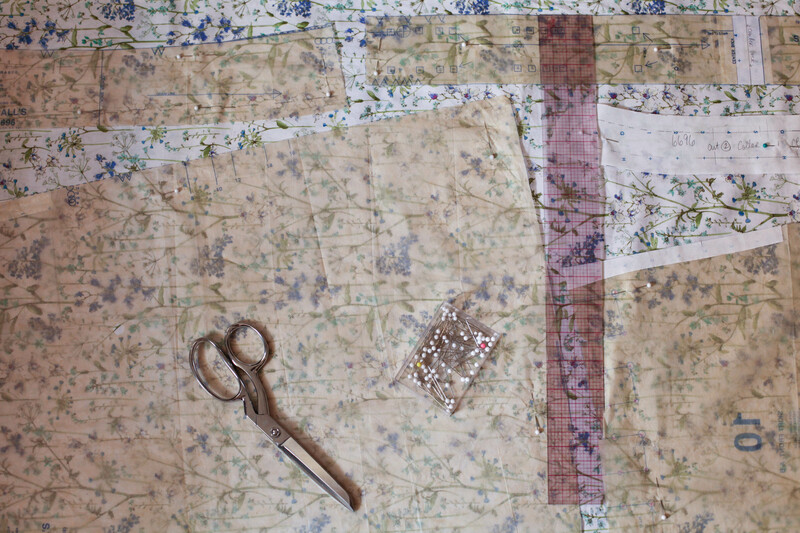 As I cut into the fabric, nothing terrible happened. As I sewed it up, the machine didn’t eat it. As I ironed it, I didn’t burn a hole right through it. Hopefully this dress will be the break in the dam that I need! Have you ever experienced this sort of thing? If so, how did you overcome it? I need all the suggestions I can get! A few weeks ago, Brooklyn Tweed released it’s latest installment of Wool People, an annual collection that brings together independent knitwear designers from around the world. Wool People 9 is an amazing mix of beautiful shawls and architecturally inspired sweaters all knit up in Brooklyn Tweed Shelter and Loft. If you have yet to experience this gorgeous yarn, you must seek it out, immediately! I don’t think I’ve ever been in love with a yarn this much since I discovered 100% cashmere. I was honored once again to be included in the Wool People collection. My contribution is Truss, a simple, slightly boxy drop shoulder cardigan with flattering stitch detailing at each side. The structure of the partial rib pattern allows the fabric to draw in just the slightest bit for a contemporary fit. Even though it’s been a personal struggle for me to get back to designing the last few years, the mood boards for the Wool People collections have inspired me to dig deep and get back to work. When viewing the final product, I am overwhelmed by the beauty and amount of detail that goes into making everything just so. This makes the collaboration even more special to me. Thank you to everyone who has left me a kind note about Truss, the response so far has been amazing and inspiring. Your support means more to me than you know. Truss may be purchased on Ravelry or Brooklyn Tweed. Brooklyn Tweed Shelter yarn can be found online or at a number of fine yarn stores around the world. 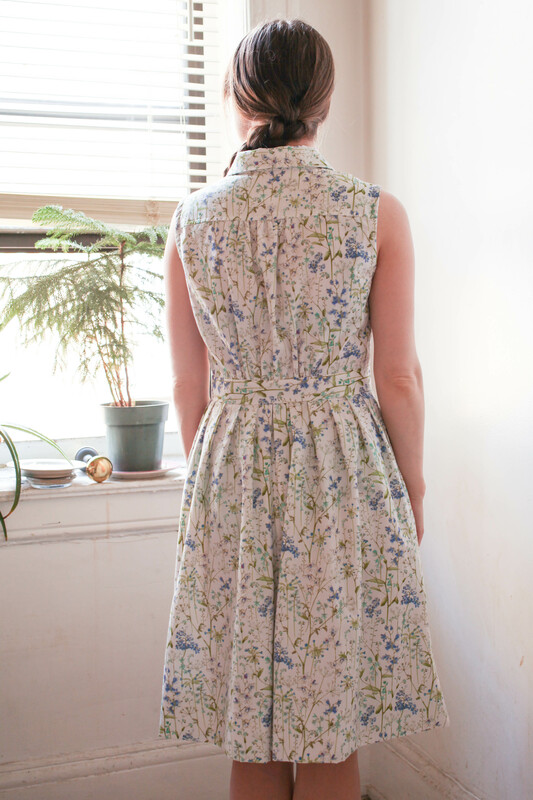 This year is the second time I’ve participated in Me Made May, a month long celebration of handmade garments. This year, I made my challenge a little more difficult. I pledged to wear at least three complete me made outfits each week. I’ve included a just a handful of the photos from the month for this post. The rest can be found on Instagram. 1) I’ve come really far since last year! This time last year, I was just starting to get my me made wardrobe together. 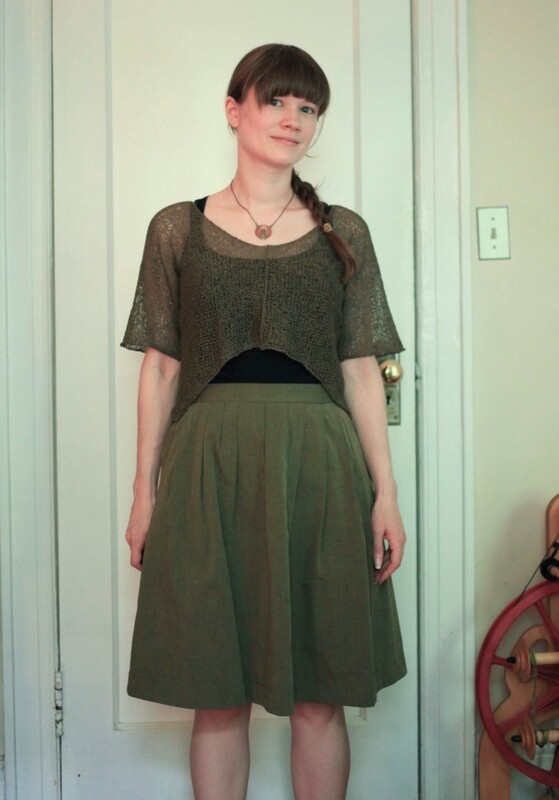 I made it through the month comfortably with the garments I made throughout the last year. 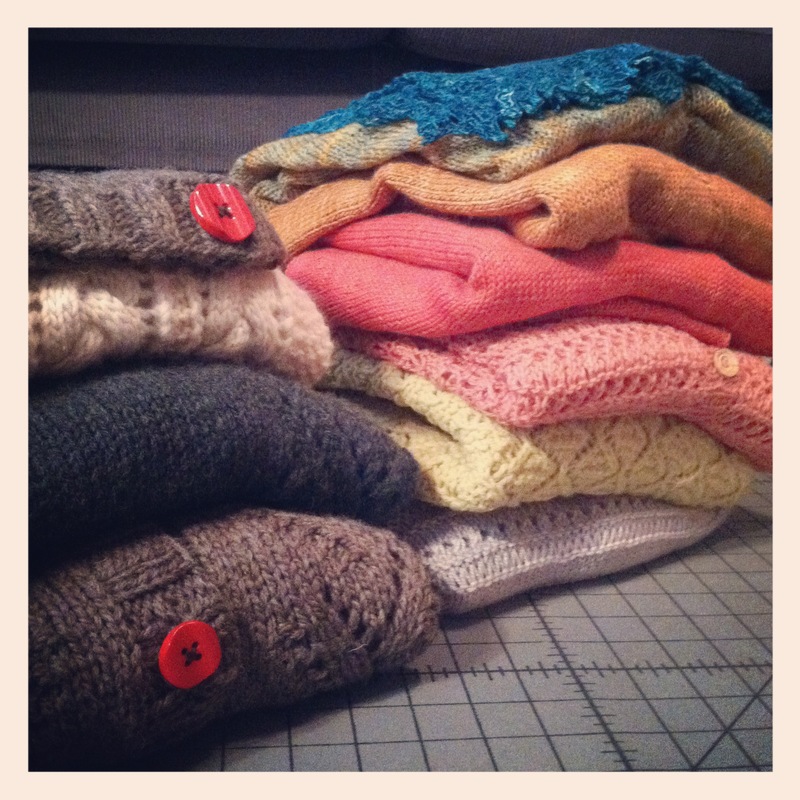 2) The weather was very good to me in regards to getting some sweaters into the mix as well. I have a pretty extensive hand knit sweater collection and this challenge was a great way to force me to think about getting more of them into the regular rotation. 3) I really need to make a few more pairs of jeans! My Ginger Jeans saw a lot of action this month. Having a pair of me made jeans to throw in the mix this year was THE BEST! 4) I now have a better idea of wardrobe holes that I would like to fill in. Mostly I could use a few more separates so I can stretch what I have already even further. 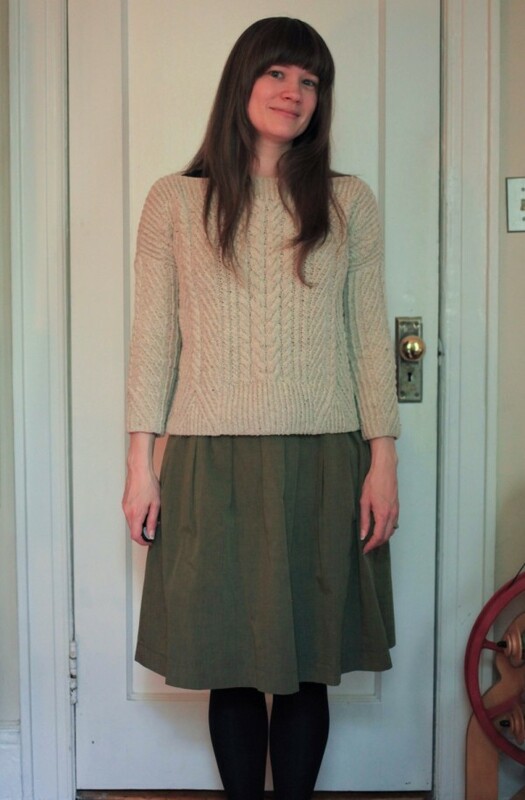 5) What I don’t want to acknowledge is that some of my handknits don’t work for me anymore. However, I’m not ready to let them go. Why is this so hard? While I won’t necessarily miss taking photos most mornings before heading out to work, I am already looking forward to next year. Me Made May is a great way for me to mark progress, plan ahead, and enjoy a wardrobe I’ve created slowly with my own two hands.